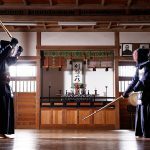 Kendo is a budo with a great amount of depth. At the moment, there are four fundamental datotsu-bui – strike zones: men, kote, do and tsuki. 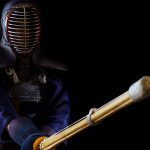 Tsuki is sometimes regarded as an “advanced” technique, something you need skill to pull off effectively and safely. This is sometimes extrapolated into “you shouldn’t practice tsuki yet because it is dangerous” or “you don’t have enough experience yet”. 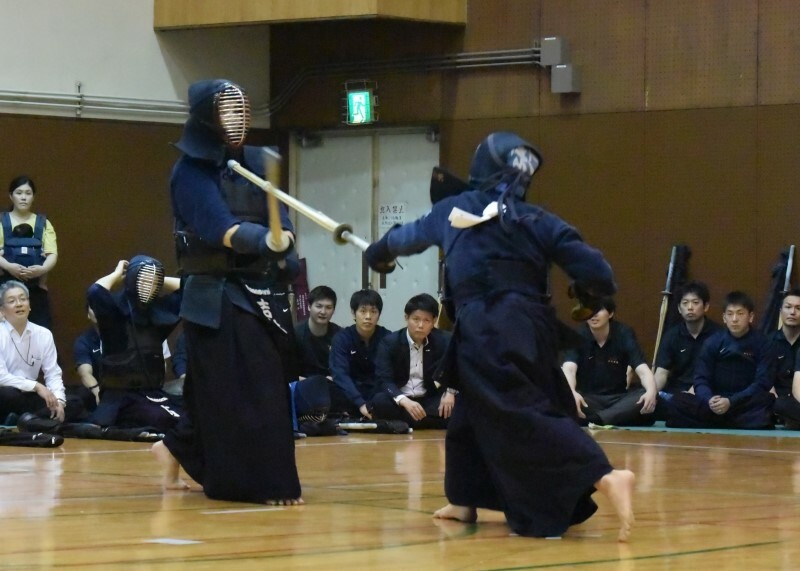 In reality, tsuki is a core part of your kendo experience. If you aren’t learning tsuki, then that’s one out of four strikes you are not experiencing. So why is tsuki viewed as dangerous? First of all, it is aiming at a very vulnerable part of your body, naturally you want to avoid being struck here. This is part of why seme applied to the throat is so effective and also why learning tsuki has a great effect on your other techniques. Both delivering and receiving tsuki requires discipline – part of the reason only High School students in Japan are allowed to use tsuki. This separation in Japan sometimes informs international perceptions of tsuki and when it should be taught. At Tozando we developed the ISG safety guard strictly because of these concerns surrounding tsuki. Not only does it provide protection, but it also allows you to receive tsuki with confidence. If you and your partner are comfortable receiving tsuki, it allows you to practice the technique without the stigma informing your keiko. It can become like any other technique, something you drill and hone repeatedly into something beautiful. If you are having trouble with tsuki, or are afraid of it, always remember to keep your discipline. 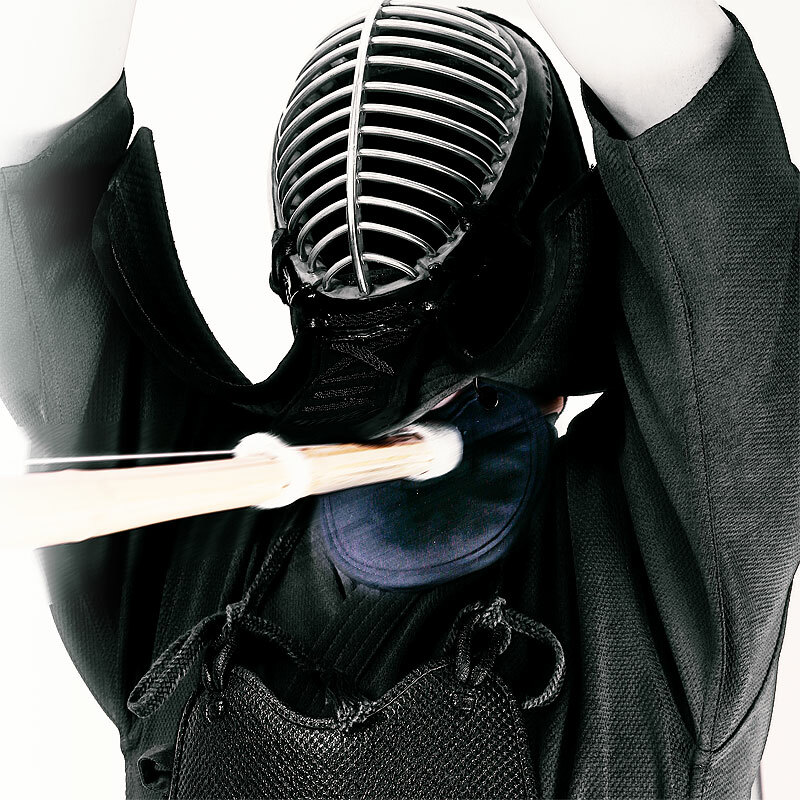 The majority of bad tsuki injuries result from poor discipline, whether it is in receiving or delivering the technique. For example, if you are just trying to tsuki your opponent for the sake of putting out a strike then you need to reign in this desire. 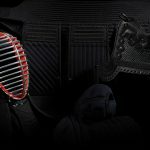 Tsuki is no different to any other technique – set it up with seme and at a decent opportunity. Trying to forcefully tsuki an opponent will not result in yuko datotsu; instead you could injure your partner. When receiving a tsuki, you need to keep your eyes locked in and your chin down: this fearless attitude will develop your confidence and protect you from injuries. If you lift your chin up or turn away, you are only opening up a path for the shinai to hit you where it hurts. Luckily, our ISG safety guard can prevent these injuries, but you should not give the shinai the opportunity in the first place. 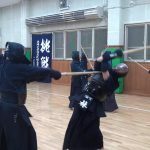 This awareness and positive attitude is a part of good kendo: always keep focussed and prepared. Can accidents still happen? 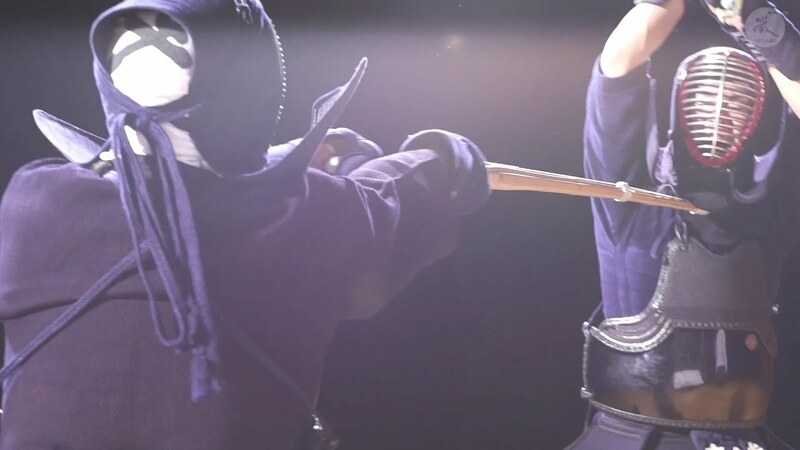 Of course; there are times when even the most experienced kendoka receive painful tsuki or when the shinai’s kensen slips off the mune and up towards the neck. This is where you can rely on our ISG – it always remains down, protecting your neck, even when your head is forced back; so you know you always have as much protection as possible. Don’t see tsuki as a fearful technique, proactively practice it! Don’t be afraid to receive it or train with it. 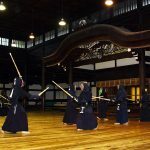 It takes an awful lot of practice to develop good technique in kendo so don’t neglect your tsuki. Grab one of our ISG men or bogu sets and train with confidence.